Tea tree oil has been around since the early 1900's, but its has only just recently began to be studied for its medicinal uses. Even though many of its claims have yet to be proven, many people state that tea tree oil treats, bacterial, fungal, and viral issues as well as cures many other skin ailments. Needless to say, since such little research has been done on tea tree oil, researchers feel there is insufficient evidence to support many of these medical claims. 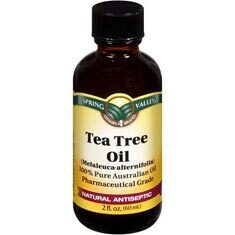 Because of this, we are unsure of the effectiveness of tea tree oil and angular cheilitis. There are many variables to be considered such as dilution amount, application, and source not to mention the fact that many people misdiagnose other ailments as angular cheilitis, which would make their specific claim invalid. Angular Cheilitis Toothpaste Will switching toothpaste increase the recovery time of angular cheilitis? Find out.